Many businesses may have heard a lot about email marketing but may not be sure exactly what it entails, or just how well it can work for their business. This handy guide will explain it all, and show how it can benefit business. 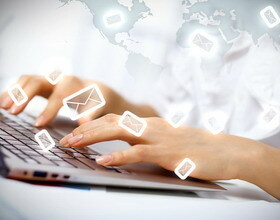 Email marketing is a way to market a particular message to a large group of people using email. By sending emails to current and potential future customers, businesses can spread the word about their products and services. The main aims of email marketing are to build on and grow the relationship with existing customers, encourage them with ads to have repeat business with the brand, and to acquire new customers. Email marketing involves building loyalty, trust and brand awareness. It is used by tens of thousands of businesses, both large and small, all around the world on a daily basis, and it is a vital tool for firms across all kinds of industries. Here are some reasons why email marketing is so effective for businesses and campaigns. It keeps costs low. One great benefit of email marketing over other types of advertising is its low cost. The small outlay that may come from sending thousands of emails at once is very affordable when compared with how much it costs to run large advertizing campaigns or take out billboards to share a company’s message. This makes it a great tool for all kinds of businesses but especially start-up companies that are trying to keep their costs as low as possible. It targets the right people. Email marketing is one of the few types of channels that customers will ask to receive by signing up to it. This means that a business can target the people who are interested in their brand specifically, giving a far higher conversion rate than unsolicited advertizing campaigns. It’s easy to share. Customers who receive an email from a business that contains great deals or offers can easily share these deals with their friends and family with just the simple click of a button. This makes it an instant way to spread the word about a business. In this way, fans of your brand are spreading the word about it for you. Instant global reach. By sending out an email marketing campaign, a business can instantly reach thousands of people around the world. Everyone checks their email regularly throughout the day in this fast-paced world, so the email is sure to be seen quite soon after it has been sent. No other form of advertizing can offer this kind of instant reaction and reach. By sending the message with an eye-catching subject line, customers are sure to check it out.